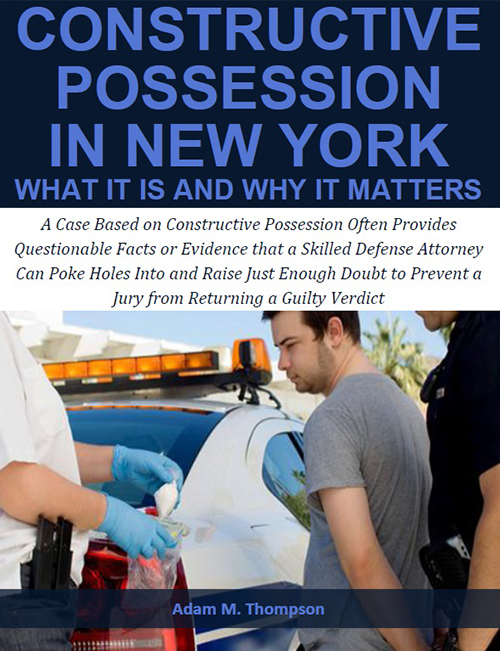 Free Report: Constructive Possession in New York - What It Is and Why It Matters | Raw Law | Law Offices of Adam M. Thompson, P.C. In the State of New York, many criminal offenses include an element that requires the prosecution to prove possession of an item of contraband. Possession of a controlled substance, for example, is a criminal offense that requires the State of New York to prove that the defendant possessed the contraband in order to secure a conviction. Though it may seem simple for the prosecution to prove the possession element, in many cases proving possession is extremely difficult.